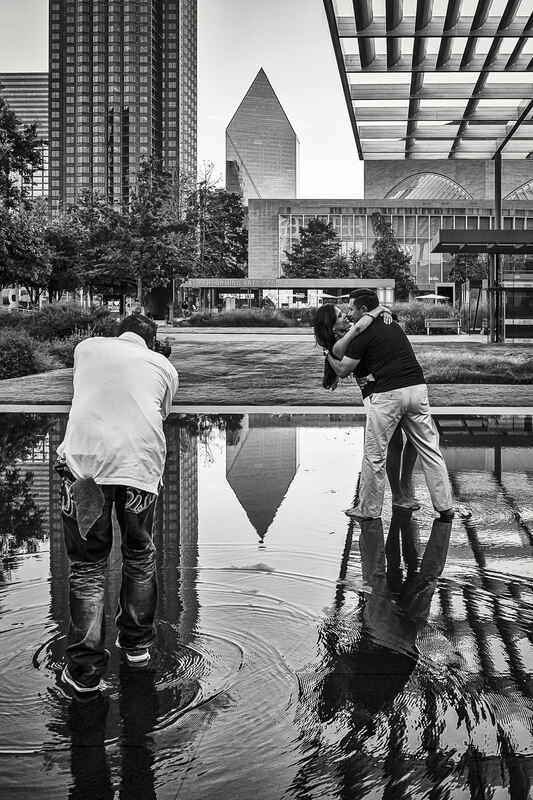 A photographer photographs a couple kissing in the reflecting pool at the Winspear Opera House in the Dallas Arts District. 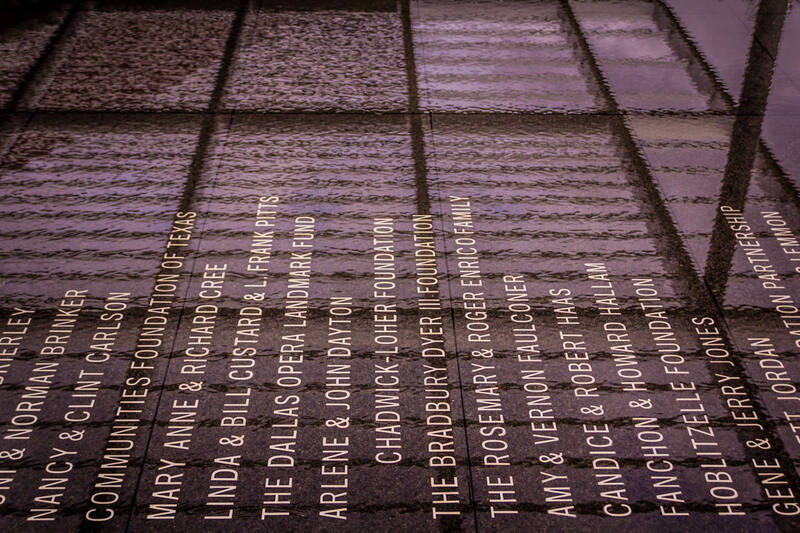 Names of donors carved into the granite bottom of a reflecting pool outside of Dallas’ Winspear Opera House. 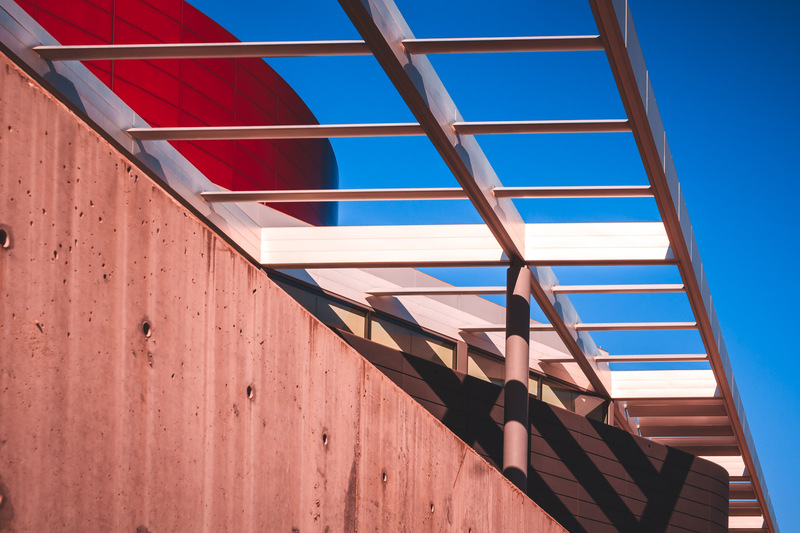 Architectural detail of Dallas’ Winspear Opera House. 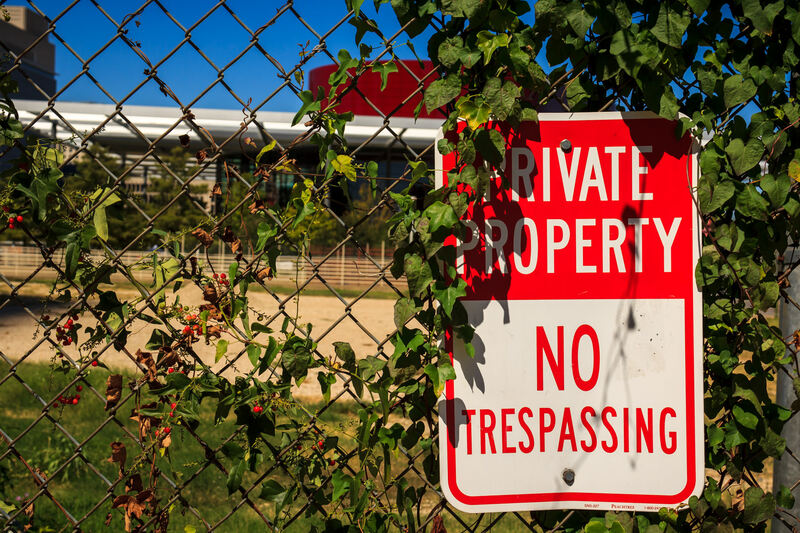 A fenced-off lot in the Dallas Arts District, behind which can be seen the Winspear Opera House. 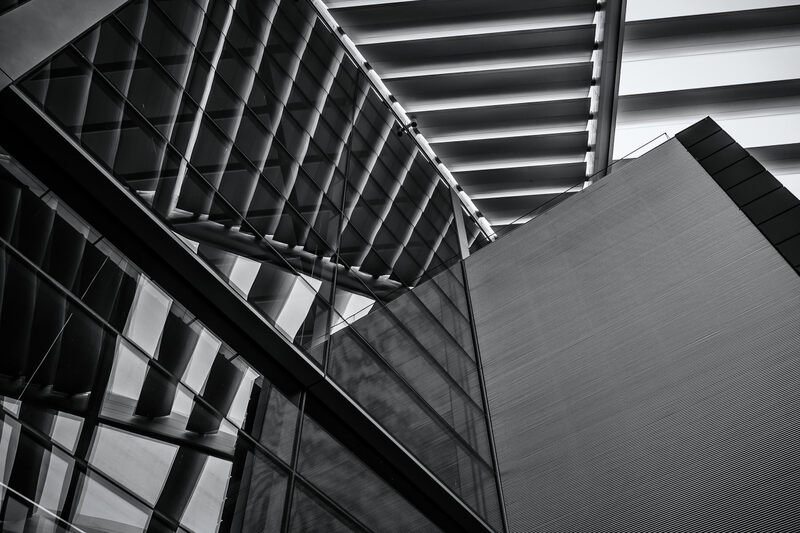 Detail of the exterior of the Winspear Opera House, Dallas, Texas. 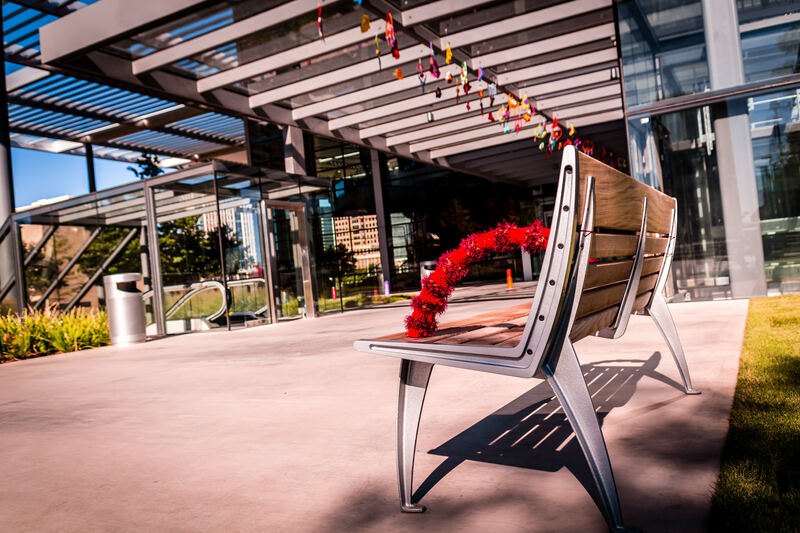 A yarn-bombed bench outside the main entrance to Dallas’ Winspear Opera House. 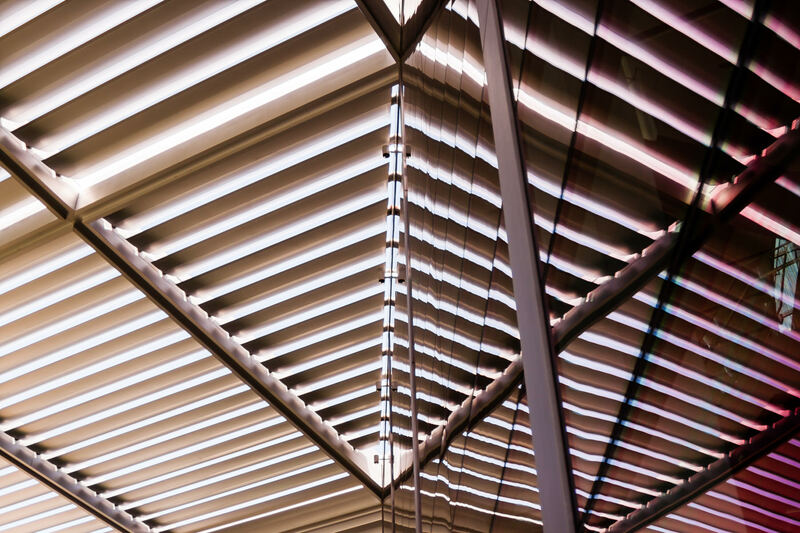 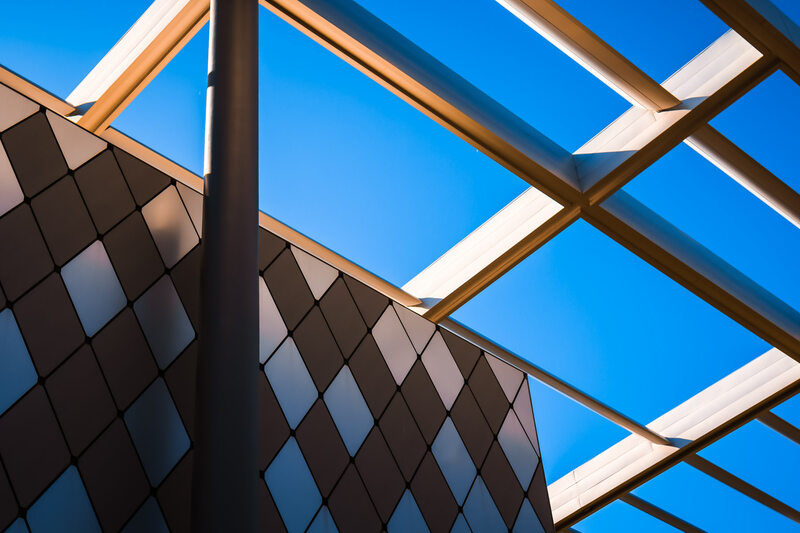 A portion of Dallas’ Winspear Opera House’s pergola is reflected in the building’s windows.